Grafting all coronaries with multiple internal mammary artery and radial artery grafts improves late results by better graft patency. 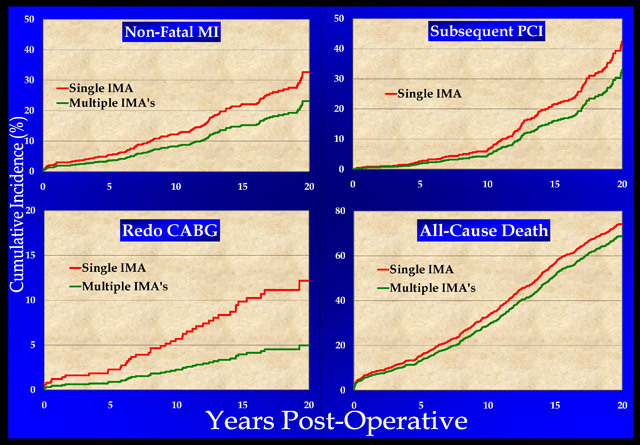 Current CABG operative mortality is 0%. 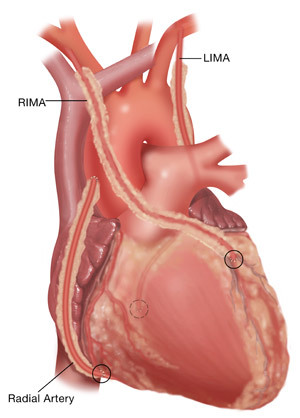 Greater than 75% of patients receive all-arterial grafts. All late outcomes are better with arterial grafts.